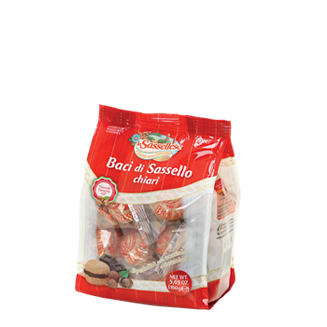 Finally we’ve come to the Baci of Sassello: two small and delicious hemispheric cookies with hazelnuts, welded together by a delicious chocolate cream. 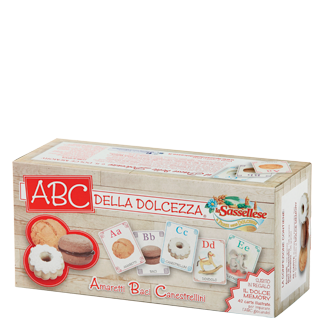 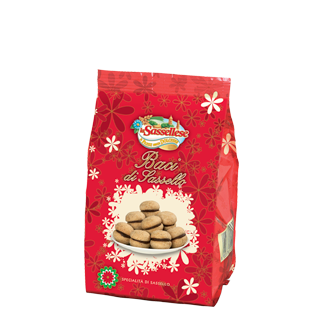 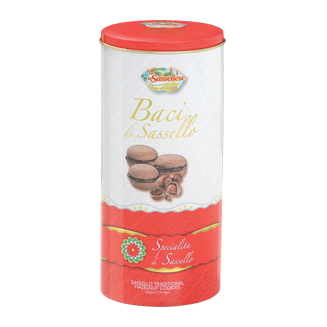 The Baci di Sassello are made with the best ingredients, all carefully selected: in addition to the hazelnut – strictly from Piemonte – they contain soft wheat 00 flour, sugar and margarine of the finest quality. 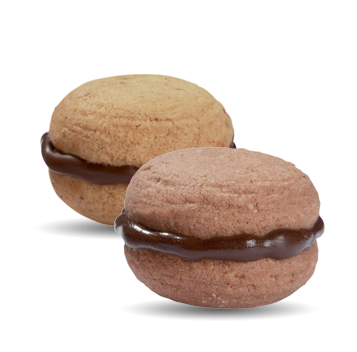 Pure chocolate and fine cocoa are the ingredients of the creme with which the two biscuits kiss each other. 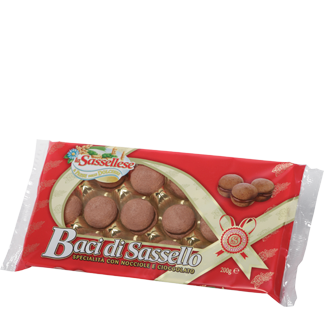 A sweet anedocte: the”baciatura” is made by hand by our talented pastry chefs, with great ability and speed. 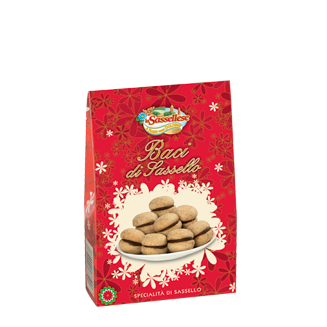 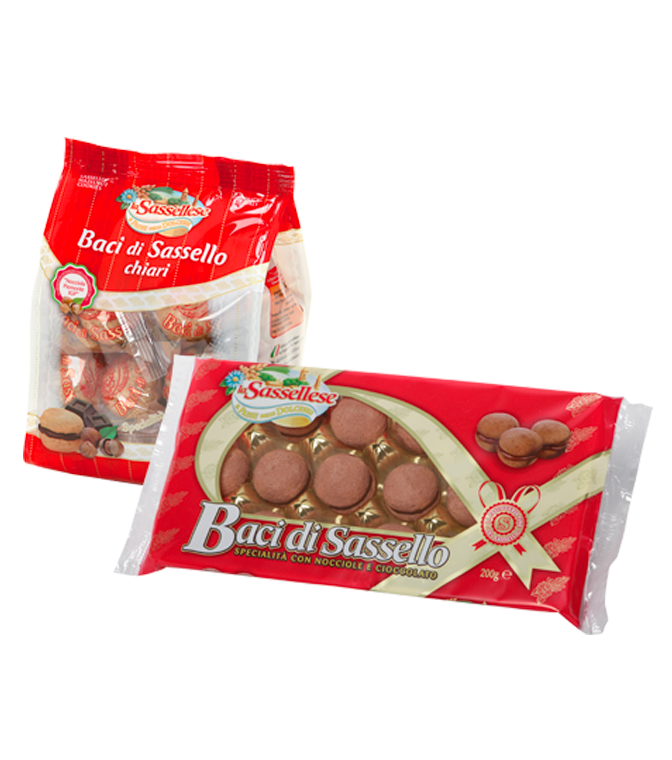 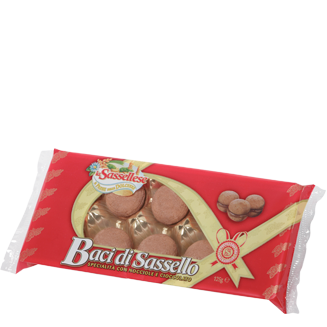 La Sassellese also makes the so-called “clear” version of Baci, which doesn’t contain cocoa in the biscuit dough. 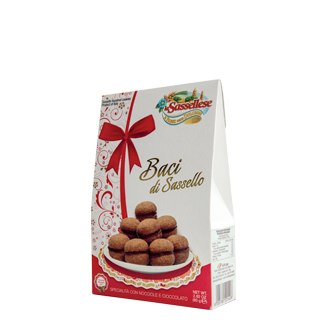 wheat flour, vegetable margarine (palm oil, coconut oil, water, emulsifier: mono and diglycerides of vegetable fatty acids from palm and sunflower, acidity corrector: citric acid), toasted “Piedmont Hazelnut” (18%), sugar, chocolate (8%) (cocoa mass, sugar, cocoa butter, emulsifier: soya lecithin, natural vanilla flavouring), cocoa, flavourings. 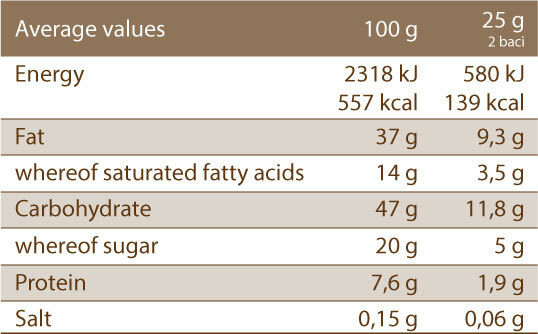 May contain traces of milk and milk derivatives. 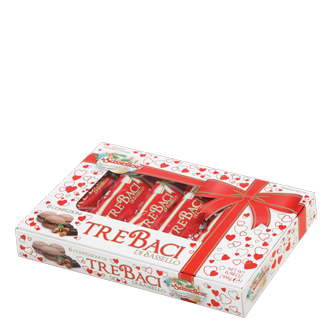 Without hydrogenated fats.